Why Star Products Classic Red Rope Art Portfolio Case? Made from Paper, this art portfolio classic is a must have for every artist or student. 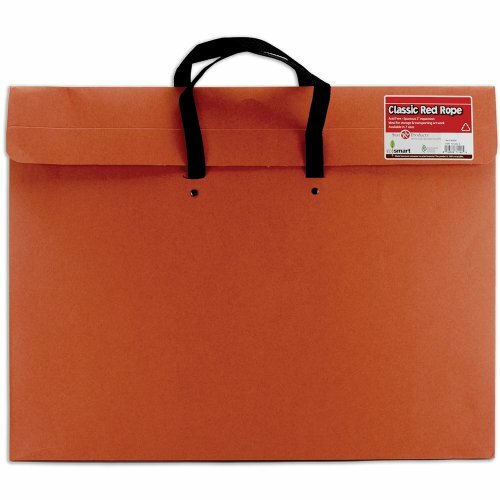 The Classic Red Rope Art Portfolio Case comes with soft black woven handles and is perfect for Art Storage, Photography Storage, and Back to School, Portfolio Case Needs, Kids Art Storage, and Poster Storage. Comes with a 2” expandable gusset so it holds more artwork! Perfect for students on the go. Also know as an artist portfolio, portfolio bag, portfolio book, kids art storage, art folder, poster book and art carrier. Be sure to check out our other Star Products by going to our Amazon Brand Store. We also offer a wide selection of other products such as student art folios, project folders, art carriers, portfolio, poster storage and more. If you have any questions about this product by Star Products, contact us by completing and submitting the form below. If you are looking for a specif part number, please include it with your message.